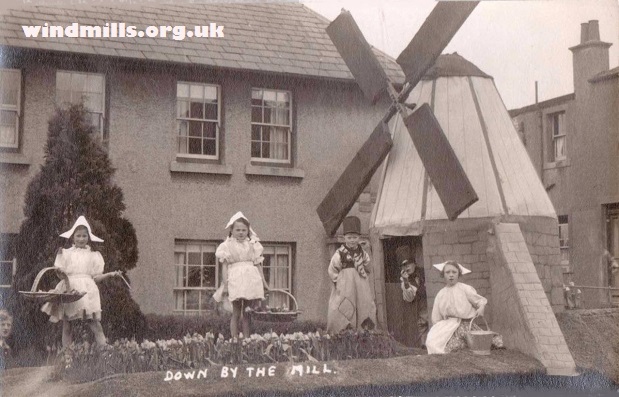 An old photographic postcard of children dressed in Dutch costumes in and around a mini windmill in England. A lovely image of children playing in a model windmill in a garden somewhere in England. Note the Dutch-style costumes. Any comments regarding the location of this play windmill much appreciated! This entry was posted in Old Images, Windmills and tagged mill, model windmill, windmill on July 26, 2015 by windymiller.